US-based Nike is the worlds largest athletic company. The Nike mission is to bring inspiration and innovation to every athlete in the world. 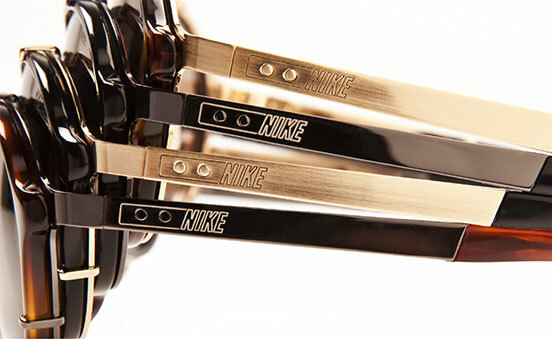 Nike’s eyewear collection meets the needs of everyone from the elite to the sport inspired. Nike Vision offers the best in sports sunglasses and the latest sunglasses technology, helping you achieve superior performance in your sport of choice. The Nike eyewear collection offers superior technology such as Nike’s patented Max Optics and Engineered Tints, ventilation, secure wrap temples, and Flexon memory metal. The label is renowned for its seamless cohesion of innovative functionality and cutting-edge aesthetics for men, women and children in prescription and suns. Nike eyewear truly offers something for everyone. Visit the Nike Vision website.